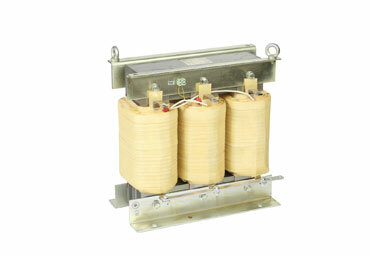 Shunt reactors are mainly used in places with long power transmission and distribution lines. Especially for supplying telecomunication stations in urban areas like radio, GSM and TV transmitters with electricity, long overland cables must be used. These cables have a capacitive characteristic at longer distances. This capacitive characteristic causes the system to become overcompensated. This results in penalties in electricity bills because of high capacitive demand. Furthermore this capacitive characteristic causes the line voltage to increase and may damage sensetive equipment connected to it.This problem can also be observerd in industrial zones, wide campuses, solar farms etc. The solution for this problem is loading the system inductively with shunt reactors. These reactors can be used single or three phased. They will utilize necessary inductive load for the system to stop overcompensation. Telecommunications stations in urban areas like radio, GSM and TV transmitters. Places with large areas like industrial zones, wide campuses, solar farms.